Why might you want to keep a notebook? 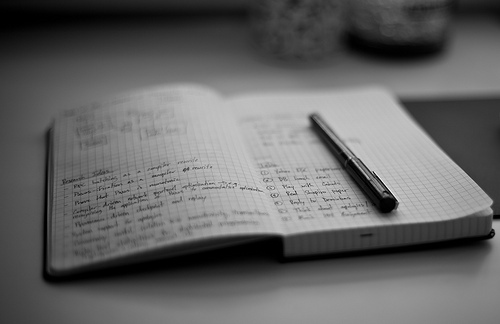 What should you use as a notebook? What should you put on the outside of your notebook? How should you maintain your notebook properly? What should (and shouldn’t) go into your notebook? What type of instrument is best for writing in your notebook? We will abide by many of Purrington’s tips, rules, and suggestions when using notebooks in our scientific investigations, but many of his insights have already been incorporated into the pages linked at the top of this page.